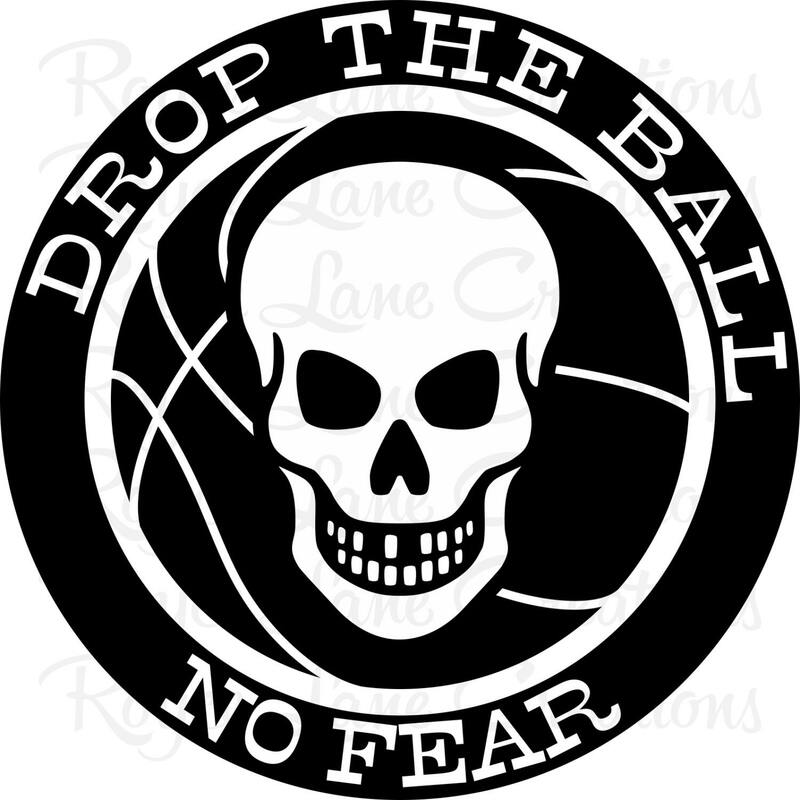 This decal has a skull centered in the middle of a basketball with the text "Drop The Ball- No Fear" around the rim. 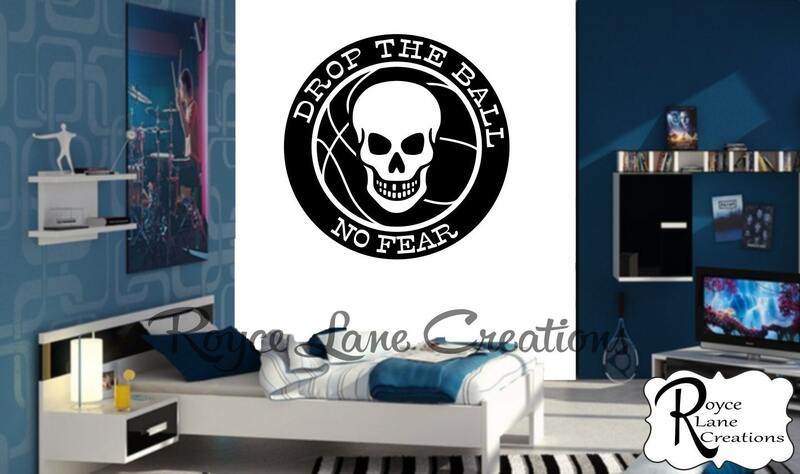 It is the perfect finishing touch to a basketball lover's room. This basketball decal measures 22" wide by 22" tall. It comes customized in your choice of color. 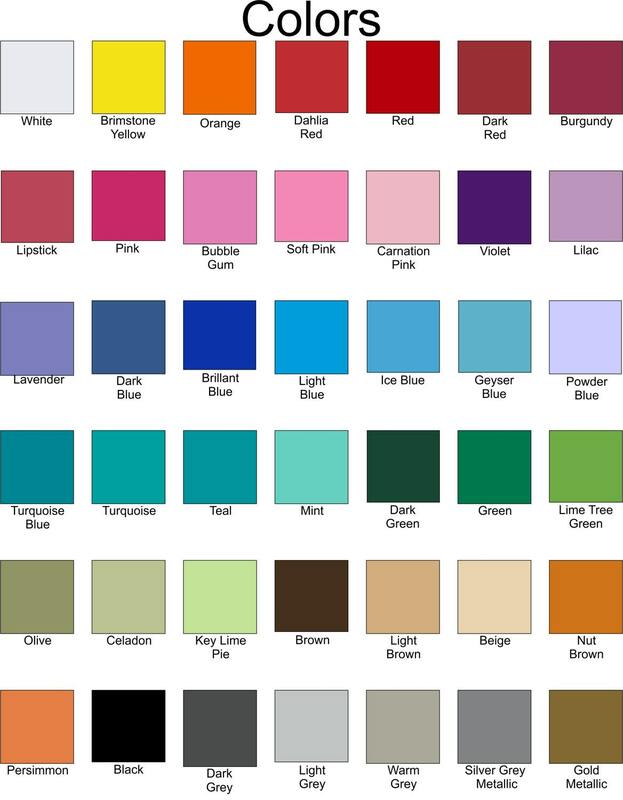 Look through the photos to see a close-up of the decal and to see our color chart. Decals are super easy to apply, and when you want to remove them, simply peel them right off the wall! We make so many decals. Be sure to look around the shop before leaving! We make so many beautiful nursery decals, and as always, if you don't see exactly what you are looking for, just let us know!